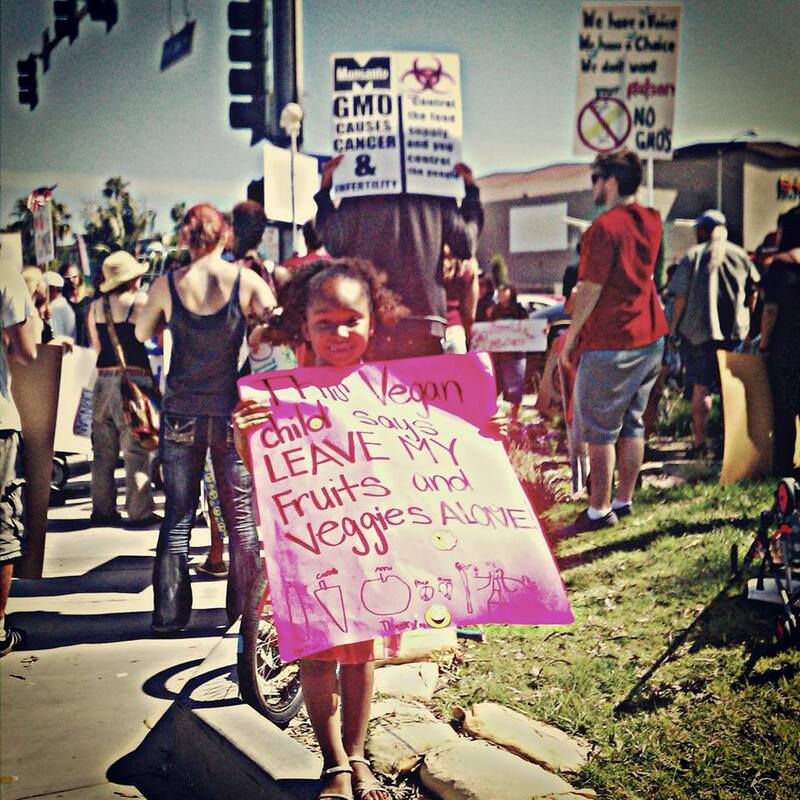 A mother tells the story of how her daughter lead her to veganism. 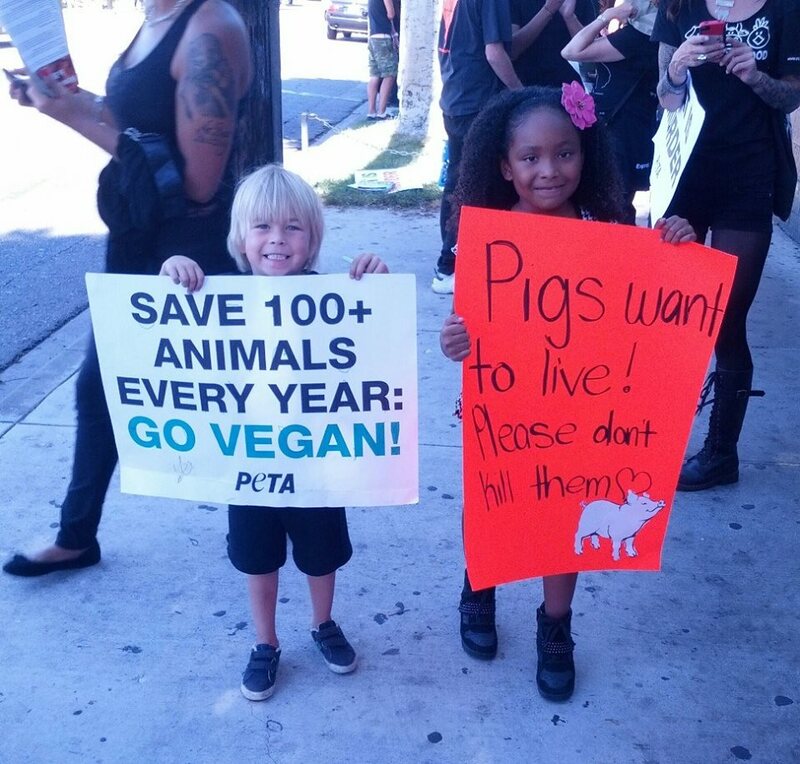 Learn about A Vegan Child’s Journey and how one brave little girl has been sticking up for animals since she was just three years old. My young daughter’s vegan journey started at the age of three. I served her chicken nuggets when she asked me a question that changed our lives forever. Genesis asked, “Mom, how do you get this food?” I wanted to take the easy way out so I told her I bought it from the store. My daughter has always been very intelligent so I should have known this would not be a good enough response for her. She asked, “It’s from the store but where do the nuggets come from?” I stopped for a moment to think about my reply. I have always wanted to be honest with my children so I told her the truth and said, “Baby, we have to kill animals to get your food.” She looked at me in disbelief and started to cry. She told me she never wanted to eat animals again and I told her I would think about it and secretly hoped she would forget our conversation because I knew if she gave up eating meat, I would have to do it too. Months went by and she didn’t ask but I started to research vegetarianism and watch food documentaries. I stopped buying processed food, artificial sugars, and food containing artificial ingredients but I continued to purchase animal products because I thought I could not live without it. On occasion, my daughter would ask if we could stop eating animals and each time I told her I would think about it. I was considering it because of the health benefits but did not see the ethical aspect to it until I saw pictures posted on Facebook by vegan friends I met online. My conscience started to get the best of me and I realized my daughter was on to something but I kept pretending I didn’t know about the cruelty I was a part of. After a year of having blinders on, I took them off and when Genesis was 4½, I told her we could stop eating meat. 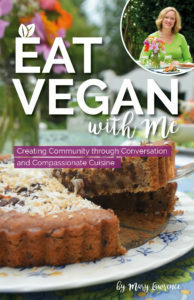 My husband jumped on board to support us and we quickly found going vegetarian wasn’t as hard as we thought it would be but we never considered going vegan because we thought we couldn’t live without cheese. One year into being a vegetarian, Genesis asked me how cheese was made. I told her cheese was made from milk and milk is taken from cows. I was nursing my baby at the time I told her this and she said, “Mom, that is like someone taking the milk you are making for my baby sister and giving it to someone else, right?” I looked at my baby who was nursing and tears started rolling down my face as I realized she was exactly right. How could I take part in such a cruel industry? Was my love for cheese greater than a calf’s need for his mother’s milk? I told my daughter if we stop consuming dairy then that means no pizza, no mac and cheese, no ice cream, and no birthday cake since these were her favorite foods. She told me, “Mom, if it means a baby cow can have his mother’s milk then I am okay with that.” I realized if a young child thought she had enough will power to live without dairy products then I could too. From that day on, nine months ago, we have been vegan. Although Genesis has faced challenges since going vegan such as being at parties and not having food to eat or having to give up her favorite foods, she continues to see the positive that has come out of becoming vegan. I asked her why she likes being vegan and she said, “I love being vegan because I know I am not hurting animals by eating them, animals can stay with their mommies, I am healthier because I don’t eat animals, and I feel like I can express what is in my heart a lot more now that I don’t eat animals.” She is a gymanst and trains 8 hours a week. She said she thinks all athletes should go vegan because not only will it make you stronger physically, but it will also make you stronger mentally because you realize you can do whatever you want as long as you put your mind to it. I think this is the most important lesson, besides compassion, that she has learned from going vegan because she has realized, if she could give up eating animal products, then she can accomplish anything! I have had people question me when I share her thoughts because they cannot believe a young child would say these things. It does sound hard to believe but we have to remember that children are so much smarter than we give them credit for. This is one reason I have always felt the need to tell her the truth and be honest with her. Parents may find themselves in the same situation as their child starts to question eating animal products and may even want to go vegan. As an educator, I truly believe knowledge is power. Research veganism and children and you will find children can have optimal health through a vegan diet. Discover various sources of nutrients and protein then incorporate it into your child’s diet. My daughter loves smoothies so I make her a smoothie every morning and add chia seeds to it because they are packed with protein! Also, sit with your child and make a list of all their favorite foods then go on a shopping trip together and discover vegan alternatives. Being vegan is no longer hard for Genesis because we have been able to replace all of her favorite foods with vegan alternatives. The more you learn, the more confident you will be raising a vegan child. It was difficult discussing the deaths of animals for food and it is very hard trying to explain to a child why humans feel they can do this to animals but I am glad I did. Her love for animals and desire to help as many animals as she can has lead her to activism. 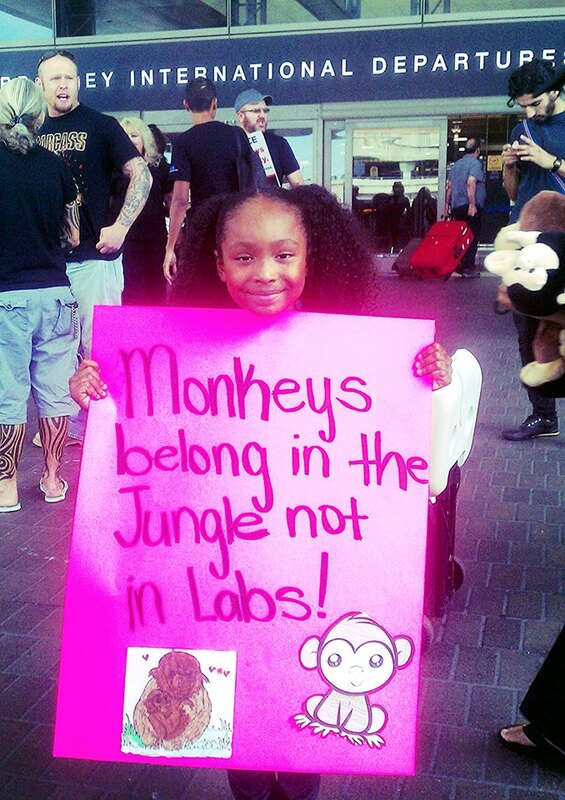 Genesis wants to speak up for animals and show other children they are never too young to stand up for what they believe in. I know she will encounter obstacles throughout her journey but I am confident she will continue to stand up for what she believes in as long as she has support from family and the vegan community. Often times, children say they want to be just like their parents when they grow up. Personally, I want to be just like my daughter. 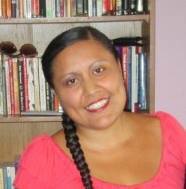 Genelle Palacio is an educator who currently works as a tutor for children and adults at all grade levels including the college level. When her first child Genesis was born 7 years ago, she found there were no teaching jobs due to the recession and decided she would become a stay-at-home mother to spend the most crucial years watching her child grow. She now has a 4 year old and 2 year old who she has also had the opportunity to stay home with and be their first teacher. In the evenings, she tutors while her husband watches their children. Though she never thought she would be a stay-at-home mom, she feels it is the most rewarding job she could ever have because her children constantly teach her lessons about life just as much as she teaches them. One of the best stories. What a wonderful little girl but it also speaks to the value of her parents even though the child taught the parents. I want to share this with everybody because it’s a common issue asked of vegans, what if a child wants to go vegan. Perfect! your daughter is so smart! i loved hearing this story. I am also vegan and feel very happy to be part of a growing consciousness! Your daughter is part of something changing the world! when my daughter was 3, we were on a plane trip(her first) and i realized i forgot to request veg beforehand when they set breackfast trays in front of us with sausage. she looked at the food, asked what the sausage was. “sausage” asked where it came from. “pigs” i answered. she said, “I dont want to eat that, mama”. she is now a 22 year old, raised vegetatian, then vegan. She is so very strong in her sense of self, her values, and what actions make sense ethically in her life. Children have a natural wisdom which is often ignored in our cultures on earth right now. I love how the little girl in this article identified being able to “express what is in her heart” easier now that she is vegan. Being vegan is courageous and heart-strengthening! Beautiful story. Your entire family is amazing!!!! I was so touched I cried I wish my granddaughters could meet her I’ve been trying to get my friends and family to go vegan with no luck it’s hard for me to have non vegans in my life ! I am so impressed with Genesis, and her big heart full of compassion and love and kindness. She is an exceptional soul and so willing to give up lots of normal stuff children her age grow up on and really do it without any problem with it. I love you Genesis you are so wonderful, and an inspiration to me and so many other adults and hopefully children that she can encourage to follow in her footsteps. Much love to her parents too, to do their part in this scenario also. What a beautiful story and a beautiful, compassionate and intelligent daughter you have. Genelle: May I have your permission to reproduce Genesis’ story , together with some of the pictures, as the Editor’s Corner Guest Essay in a future issue of my online journal The Peaceable Table (website adddress given above)? Genesis is such a perfect name for your daughter; her compassion was the genesis for change in your family, and will only continue to create ripple effects around the world. Thank you for sharing your story. “I feel like I can express what is in my heart a lot more now that I don’t eat animals.” I have been trying to articulate this for quite some time. Thank you so much for sharing this story. Your daughter is amazing! Wow. 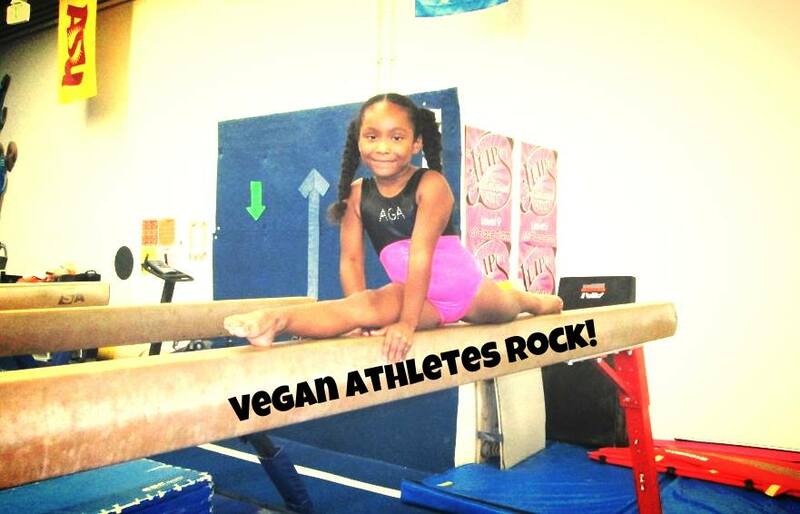 What a fabulous young girl and of course her mother who allowed her to go to vegan. I wish everyone was as enlightened as Genesis – quite amazing. Our family switched to vegetarianism when our children were young. Even though they sometimes found it a little inconvenient, when they went out to parties or restaurants, they never found it very difficult. They understood our convictions and they were free to make their own choices. Now that they are grown, they often express their gratitude to us for making good dietary choices for them in their youth. My oldest is vegan, our middle child is vegetarian, and our son eats meat. However, he often expresses that he feels better when he does not. We have planted the seeds and all we can do is be a good example unto others. We have been vegetarian for over 20 years, and vegan for more than two. We will never go back. Thank you for sharing your story. Wishing you and Genesis all the best! You must be so very proud! wow brilliant little girl I wish my family were as supportive as you are to your daughter and maybe it wouldn’t have taken me 40 years. Wow, what an amazing daughter you have! Your family and tout are truly inspirational. I sincerely hope I can be like your daughter and you in the near future. What a wonderful story – and what a beautiful young girl Genesis is. Mum, you are to be commended for not dismissing a young child’s wishes – and listening to her. Thank heavens you did. I am 63 years old and have been vegetarian for 14 years, only going vegan the past few months. The transition is very difficult, but so exciting and now I just love my cruelty free food. You give me hope for the future – with Genesis fighting the good fight for animals, the world is looking good. Such an inspiring girl! Makes me feel bad that I didn’t awaken myself to the facts earlier in life.. Such an inspiring child and such positive support from the whole family. Too often when this comes up in discussion in families, it is deemed “too hard.” Congratulations, and I hope your story will encourage others to do the same. I agree if you have the compasson and courage at such a young age to make such a decision, you will live a very healthy physical, mental and emotional life. All power to you Genesis. WOW…. it’s easy for everyone to agree when you delete the comments that are a bit different in view. Thank you for such wonderful experiences. Truly encouraging! Lovely. My daughter enlightened me also about the dairy industry and I went from being a vegetarian to veganism.